I have probably heard thousands of sermons in my lifetime. I am certain that I have read, if not thousands, at least hundreds of sermons, and I have even written quite a few. I am starting to realize that listening to a sermon is an art that few ever really come to appreciate. I believe that there are things that we "hear" and things we do not "hear." There have been hundreds of times that a message has spoken directly into a situation in my life and has provided necessary wisdom to navigate through the situation. Sermons have brought comfort, relief, direction, and vision into my soul and spirit. Some wonder as to why I place such a crucial importance on preaching, the specific reasons that I just mentioned are why. One of my Bible college instructors once leaned very heavily on us one morning in class as he pointedly and directly made the following statement, "Poor preaching is a heavy cross to bear!" He was having reference to those poor saints who often endure more than they gain. He also imposed a very high level of expecatations upon us by stating that if we pastored churches who had the "heavy cross of poor preaching" to bear, then to please not tell them where we had gone to Bible college! He was setting the bar very high because he believed that much could be accomplished with preaching. Preaching can be extremely challenging and it is always hard work if it is going to make a difference. The fourth message that I will tell you about set the direction and tone most likely for the rest of my life. Even though it was preached in January 1996, it has kept me focused on where I am presently serving. I have jokingly said that the only way that I would leave Dothan is: A) To receive an offer to teach at a Bible College; B) To be called to pastor a "super church" somewhere between the Atlantic and Pacific Oceans and between the Canadian and Mexico borders; or C) To get thrown out on my head. Choice C is probably more likely to happen than A or B. Instead of making a lot of reference to the conference, Because of the Times, my remarks in this post will be limited. I wrote in the previous post about the importance that Because of the Times has had on my life, so if you are curious about it, it immediately precedes this one. Because of the Times '96 was a transitional point for me although I would not know it until several months later. Beginning in June/July of 1995, I had began to become increasingly restless about the direction of ministry for my life. I was ready to leave Dothan and start a Home Missions church or at least begin looking for another church that was considering a need for a pastor. I was in Dothan with my father-in-law, Joe Patterson, who is a great man, although highly unrecognized for his devotion and faithfulness to God. His desire for for world evangelism particularly through Foreign Missions is astounding and he has poured that vision and burden into many of the great saints in Dothan. At that time, I was an assistant pastor, district Sunday School secretary, and working full-time as an RN in an ICU in Dothan. The restlessness that was within me was due to a couple of things: A) I was very hungry for revival and a greater depth of relationship with God, and B) I had finished Bible College three years earlier and in my mind I was ready to move into the next phase of ministry. I was heavily involved in the church in Dothan with preaching and teaching on Sundays, working with Home Bible studies, etc. and yet there was a gnawing within. I cannot stress the importance of having a constant spiritual hunger. Sometimes I wish I could turn it off and forget about it! But to do so would be very detrimental to what God wants to accomplish in my life. At that point in my life, I was almost 30 and was ready to get on with ministry wherever I was going to be. I had spent some days fasting and praying leading up to January '96 in preparation for BOTT. There were some late nights at church in extended times of prayer and which had been very productive times. I could feel that God was opening some things up, I was just very unaware of exactly what they were. I had continued in some educational patterns and had finished a Master of Ministry and was preparing to begin work toward a D. Min. with a focus on expository preaching. I felt that I needed to continue to sharpen my own skills and talents to be a useful instrument to God. I believe that God wants all men to be constantly honing what talents that He has provided. So week in and week out, there was quite a bit of involvement in working in the Kingdom. So I really felt like that I was positioned for God to speak something to me at BOTT '96. The lesson in this is that when we go to spiritual events especially revival conferences, whatever or wherever they may be, that some preparation is necessary before you get there. Too often we go into these 2-3 day events without any spiritual preparation such as fasting, prayer, and seeking the counsel of elders and it takes a day and a half to get us into the position to hear the voice of God. Bro. T. F. Tenney always preaches on Thursday morning of this conference. Leading up to his message, I had been profoundly stirred by Bro. Anthony Mangun's usual call to evangelism and revival. There were other messages that I had heard but I still did not feel the touch of direction for the future until after Bro. Tenney's message. I occasionally get out on the Internet and read other blogs (generally non-Pentecostal) and am amazed and sometimes shocked that there are large groups of theologians and pastors who frankly do not believe that God still speaks to people today. There is a strong insinuation that miracles have ceased. God has gotten locked between the leather covers of their Bibles. Their "relationship" with God is lived out by their own efforts of self-discipline and behavior modification. Because I still believe that God speaks to men through the written Word and the Gifts of the Spirit, there have been a few but very distinct times that I knew that I had heard the voice of God. This would be one of those times. After Bro. Tenney's message, we had one of those "down and out" prayer meetings when you are moved to your knees and there is a deep moving of the Spirit in the house. This prayer meeting would last between 1 to 1 1/2 hours. After a significant amount of time spent in prayer, I began to sense a greater presence of God than I had ever known before. It was insistent, strong, and right. I was preparing to hear God say that a door would be opened to me and that I would be released from my post in Dothan, in fact that is what I wanted God to say. However, the word was this, "You will spend four more years in Dothan!" In retrospect, it was the very palpable and total will of God for me. I can say this now with absolute certainty because time has unfolded His plan for my life. However, at the time, I was absolutely crushed. I was extremely disappointed because I had a plan for my life and God had a plan for my life. . . and they were worlds apart. I was sitting by a close friend of mine (who still is a close friend), Brent Rashall, and I leaned over to him and told him that God had spoken directly to me that I was going to be in Dothan for at least four more years. I also told him that I was committed enough to the voice of God that if I wavered during that time or attempted to leave Dothan that I wanted him to make sure and hold me accountable by keeping my feet to the fire. After telling Brent this, I went and found my father-in-law, Bro. Patterson, and told him what God had spoken to me. There was a time of great weeping and praying on both of our parts and he told me that he would do everything he could to help me during that next four years. Bro. Patterson had been well aware of some of the commitments that I had been making and the direction that I was seeking prior to going to Alexandria and he had also been praying for the will of God in my life. It is important for all "young" preachers to have a voice of a prophet, mentor, and leader in their life. He has been that and much, much more over the years. The Occasion: Because of the Times , 1996. Alexandria, Lousiana. The Preacher: I have to opt out on saying that I "know" Bro. Tenney personally. I have met him officially once but it was in a crowd of ministers and there is no way that he would remember me (at least I don't think he would). I have shook his hand a few other times in large crowds and since I fall into the wallflower category, it is doubtful that he could remember me. I have sent him a few Barnabas Letters and a couple of personal letters (to which he replied back). In his letter back to me, he recommended that I and every other minister read "The Making of a Man of God" by Alan Redpath, which after having read it, I wholeheartedly concur with him. Even though I am listing only one message that Bro. Tenney preached, there are hundreds more that he has preached that over the years I have heard via cassette tape (remember those?). I, along with my brother-in-law, Mike Patterson (FMD-Romania), when one night at the conference in Salt Lake City and heard Bro. Tenney and Bro. Kilgore at a young ministers meeting. That night was also a phenomenal message when Bro. Tenney preached about losing coats and taking dreams (about Joseph). The Message: Three Days from Nowhere. I will not describe this message in this blog. The reason is that I want you to go to www.thepentecostals.org and buy it for yourself and listen to it. It is a great message and it recounts a lot of personal things that really have added much to my own life and walk with God. It would mean much to me for 1997-99. I gleaned an incredible amount of inspiration and wisdom from his message. There are rough places in getting to the points that God wants you to get to. There are important times when it is necessary that you go alone. There are doors that men can open and shut. There are doors that you must walk through that only God can open. These same doors will have times that attempts are made by men and sometimes organizations to open or close them. It is crucial to keep a right spirit and attitude both with God and men during these "three days from nowhere." You may want to fight. . . open the door. . . close the door. . . move into another area. . . but it is crucial that you stay "three days from nowhere." Ultimately, the passage of time is the only thing that will bring you out of your "three days from nowhere." You must find a copy of this message and listen to it. It may very well be that this message could give you some insight as to what and where God wants to take you in the future. The fifth sermon that lodges in my mind and spirit is one that I have increasingly had on my mind particularly for the last couple of years. As time passes on and I move out of that category of a "young preacher," I am beginning to wonder if I (and my peers) have a responsibility to the past. Our times (the last decade) have made an incredible assault on some long held core doctrines. Even some of our traditions have been taken to the gauntlet which I cannot say is all bad. I am more than willing to admit that there have been some abuses and abused in the past particularly in areas that one would refer to as "standards." In looking at some of those abuses that occurred, it appears to me that our foundation has to be the Word and not preference. Yet, if one is not careful, the swing back in the other direction in trying to correct the abuses and ignorance, there will be a drastic overcorrection. This overcorrection may not affect the current generation but the one that follows will find itself greatly lacking. The wise man is quite aware that there are ditches on both sides of the road and he must stay out of both. That is why that I found this message was so crucial to me at the time that it came around. George Barna, who is not a theologian but rather a sociologist, has crept in among evangelical minds and his statistical analyses have created havoc among pastors. In fact, Barna's work has found time among many seminary curriculums. Instead of learning how to efficiently follow the pattern of prayer and ministry of the Word, pastors are being forced into the mode of organ grinders with it's matching monkey. Cultural trends and societal elements are not the overarching parameters for church growth, personal evangelism mixed with prayer and fasting are. Periodically, one must find the place where he stands. If adjustments are necessary, then they should be made accordingly. However, one must also understand that progression can just as easily be digression if it is going in the wrong direction. In my frank estimation, Barna, if one takes much stock in his stats, is forcing many pastors to become entrepreneurs instead of being men of God who weekly preach the Word. Accordingly, the trend that one faces is the transition of the pastor into a CEO who must spend energy building a kingdom that sometimes is worlds apart from the Kingdom. This message from Bro. G. A. Mangun really forced me as a young man to begin to make necessary adjustments as to where I would in 30 years. Most importantly, where would the church that I had been called to serve. . . . where would it be? The Occasion: Because of the Times, Alexandria, Louisiana (1999 or 2000). I have to say that this conference has meant more to me than any event that I have ever attended. It washes things out of me that have collected over the course of the preceding year and then it fills me with passion, purpose, and vision for the coming year. I have not missed BOTT since my first one in 1988. When I was at TBC (1989-92), this conference was not particularly endorsed so I had to save all of my absences since my trek was considered "unexcused." Later on, when the adminstration changed, I ran into Bro. Kilgore one night in the G. A. Mangun center passing out twenty dollar bills to the current students. That pretty much sums up the story for me. . . . . A day late and a dollar short! The Preacher: G. A. Mangun, Bishop of the Pentecostals of Alexandria. I cannot say that I have the honor of knowing Bro. Mangun on a personal level, although I wish I could say that I did. I have shook his hand a few times and he has prayed for me once (a fantastic story surrounds that which I may blog one day). Honestly, I must admit that I had always allowed Bro. Mangun to live in the shadow of his son, Anthony Mangun, and his wife, Vesta Mangun. Even though, I have heard both of them say publicly that neither one of them could carry his briefcase, that thought just did not connect until after I heard Bro. G. A. preach this message at BOTT. 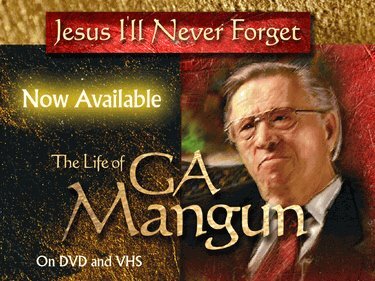 In addition to that, the DVD of his life (available at www.thepentecostals.org) totally changed my thoughts about Bro. Mangun. That is not to say that I had negative thoughts about him, the thoughts that I had very neutral. No More!!!! There have been times that I have felt the battle pressing me a bit and I would watch this DVD and it was amazing in it's ability to encourage and inspire me to go another round. The fasting, prayer, hunger for revival, discipline, and soul-winning efforts that are displayed on the DVD have caused me to view him as a modern day apostle. The effects of Bro. Mangun's ministry and influence will not be discovered until we stand at the Bema. At the time that Bro. Mangun preached this message, there was a lot of saber-rattling going on particularly among some younger "progressives." At issue particularly was the appearance of the revival at Brownsville and the Toronto Blessing. Sometimes, one can get so incredibly overwhelmed with all that is going on "out there" that it can create a lot of self-doubt and second guessing. That is sort of the setting that found us (or maybe just me) that year at BOTT. Did we need to make some changes to really have revival? That question was answered in an incredible way that evening. The Message: Unknown Yet Known. Not only did Bro. 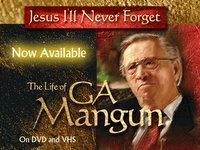 G. A. Mangun have a grip on the doctrinal issues of the day, he begin to walk through the history of his own calling and what had been his response to all of the issues. For me, it shored up a greater tenacity on the apostle's doctrine. I had a grip on it, but it just got much tighter. It also gave me great insight as to what could happen if you would commit fully to your purpose and reach for God with every thing inside of you. I must confess that I am not there yet, but I am further down the road than I was then. In fact, I am further down the road than I was just last year. It is a constant work in progress. At the end of the message, Bro. Wayne Huntley issued an incredible challenge to those who were less than 35 or 40. Whatever age group it was, I was in the crowd. Then Bro. Huntley asked all of us to stand who fit that age bracket and he gathered some elders to pray over that crowd of 3000 or so. While it was all going on, I looked up to the platform and saw men like G. A. Mangun, J. T. Pugh, James Kilgore, T. W. Barnes, and numerous others and was awed by their faithfulness that they had lived out over the years. I made some personal commitments that day that to this day I have continued. By the grace of God, I will continue those until I am taken out by way or rapture or death. I hope that we all understand that we have an incredible debt to the past and to our heritage. Gracious God. . . . . Give us the wisdom of the elders and help us to hold in the proper esteem that they should be held in. . . . . The book that Bro. 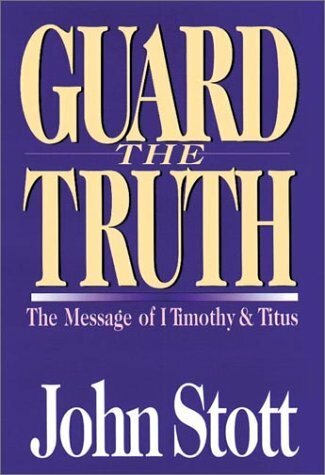 G. A. Mangun recommended was the Timothy and Titus commentary called "Guard the Truth." Worth your time. I found this following quote today when I was putting together a message about temptation and pride. May it strike your soul with the same force it struck mine. . . .
“The ministry is one of the most perilous of professions. . .
Satan knows that the downfall of a prophet of God is a strategic victory for him, so he rests not day or night devising hidden snares and deadfalls for the ministry. Perhaps a better figure would be the poison dart that only paralyzes its victim, for I think that Satan has little interest in killing the preacher outright. An ineffective, half-alive minister is a better advertisement for hell than a good man dead. . . There are indeed some very real dangers of the grosser sort which the minister must guard against, such as love of money and women; but the deadliest of perils are far more subtle than these. . . There is, for one, the danger that the minister shall come to think of himself as belonging to a privileged class. Our “Christian” society tends to increase this danger by granting the clergy discounts and other courtesies. . .
Another danger is that he may develop a perfunctory spirit in the performance of the work of the Lord. Familiarity may breed contempt even at the altar of God. How frightful a thing it is for the preacher when he becomes accustomed to his work, when his sense of wonder departs, when he gets used to the unusual, when he loses his solemn fear I the presence of the High and Holy One; when, to put it bluntly, he gets bored with God and heavenly things. . .
Another peril that confronts the minister is that he may come unconsciously to love religious and philosophic ideas rather than saints and sinners. It’s altogether possible to feel for the world of lost men the same kind of detached affection for the naturalist Fabre felt for a hive of bees or a hill of black ants. They are something to study, to learn from, possibly even to help, but no longer to weep or die for. . .
Another trap into which the preacher is in danger of falling is that he may just do what comes naturally and just take it easy. . . . It is easy for the minister to be turned into a privileged idler, a social parasite with an open palm and an expectant look. He has no boss within sight; he’s not often required to keep regular hours, so he can work at a comfortable pattern of life that permits him to loaf, putter, play, doze, and run about at his pleasure. And many do just that. To avoid this danger the minister should voluntarily work hard. I have to admit that this little run of the "top ten" sermons that I have heard in my life has been a very thought-provoking and treasurable experience. I am honored that you are spending time reading through all of this. My highest hope is that if you are a minister that these thoughts provoke you to spend time in the Word and prayer. Only God can help you to bring out the best to the folks that you serve week-in and week-out. The American church (I use that term loosely) is experiencing a dearth of solid preaching and those who are preaching the Word must develop their minds, hearts, and skills to the utmost to preach to this generation. My second highest hope is that if you are only a "listener" to the preaching week-in and week-out that you pray for your pastor, minister, evangelist, or Bible teacher. Pray that God gives them the words that not only encourage you but convict you and change you. Most often, what we need to hear and want to hear are two different things. The sixth sermon frankly comes out of my childhood. It was preached sometime in the mid-70's. The Occasion: Summer of the mid-70's. Time has passed and portions of the details are somewhat fuzzy. Every summer in Montgomery, Alabama, we would always have our Youth Camps and summer Campmeeting. I can remember going to the "campground" as we called it, when there weren't padded pews and air conditioners. We had wooden pews and there were some huge fans that were placed in the windows on both sides of the congregation. They sounded like propellers on an airplane, loud and rattling. Not only did one have to contend with the heat and bugs, there was a steady, dull roar that assualted the ears the entire time. However, despite the bugs, the heat, the faithful Alabamians would pack themselves into the gym at the old Pike Road School house, aka "the campground." I can remember the two-hour drive up and back to Montgomery during those days and nobody seemed to think anything at all about making the trek to go to "campmeeting." I remember singing all the "old" stuff. I can remember the "shouting." I can remember the praying. I can remember the preaching. One other great memory that stands out in my mind, was when one of our presbyters caught his false teeth in mid-air and one-handedly shoved those choppers right back in his mouth! He never missed a beat. He wasn't preaching but got a little "preachy" when he was supposed to have been taking up the offering. If it had been caught on video, I am certain that it would have made "Play of the Day." Good hands, no preach!!! It seems as if it were yesterday that we were driving up to the campground that hot evening and unloading an old Plymouth station-wagon. Suit, ties, grease in our hair (remember this is the '70's), hair-do's a mile high and we all were going to the "meeting." Cassette tapes were the hottest thing on the market then although very few people had them. Eight track tapes were what everyone was listening to but cassettes were starting to replace them. If you had a cassette, you fit into the category of the upwardly mobile. My dad had just purchased a battery-powered cassette player/recorder and he had a blank Memorex tape ready to go. We strolled in that night and the place was already beginning to fill up. We managed to find a seat about 3/4's of the way back on the left side of the auditorium. My dad had already informed my mother that she was going to have to keep my whiny little brother quiet while he was taping Bro. Spears. When Bro. Spears got up to preach, my dad started that little black GE recorder and carefully placed it under the pew in front of us. My young brain was totally focused on this new "gadget" of my dad's and I thought that I would pay a lot of attention to the "gadget" and would not have to listen to a boring preacher. Little did I realize that Bro. Spears would preach something that 25-30 years later, I periodically go back over in my mind. The Location: Montgomery, Alabama. Alabama District United Pentecostal Church Headquarters. Summer (very hot), sometime in the mid-70's. The Preacher: Curtis Spears, from somewhere in Texas. There are two things that stand out in my mind even until this day about Bro. Spears. First was his size. He was overall a very slight man. Not very tall and very neat in his appearance. Secondly was his hair. It seemed as if his hair was jet black. Amazing what you can find in your "memory box" when you start remembering things. I saw Bro. Spears two years ago at Because of the Times in Alexandria, Lousiana and related to him what I am writing to you now. I told him that something he preached 25-30 years ago was still living in me. Although, I personally have never preached his thought (though I might someday), it was and still is one of the most important messages that I have ever heard preached. The Message: The tape has long since been lost. I ran across it a few years ago at my parents house and listened again but time had almost destroyed the quality of the tape and it was difficult to hear. I am even uncertain of the text that Bro. Spears used that night. The whole emphasis of his message centered around the bride making herself ready for the groom. He begin to preach about the importance of worship, of prayer, of dedication, of holiness, and other commitments that are necessities with our walk with God. He talked about just being able to make it church because you knew if you could just get there that something good was going to happen. He mentioned that the blessings were fantastic when we found ourselves out in the aisles in great Pentecostal form, worshipping God. He preached how that when the preacher would anoint us with oil and healing would come. He preached about all the "feel-good" things that happen among us Pentecostals. I can remember that people were up and down during the message. The reason that I remember that is because I was concerned about my dad's new "gadget" and how it probably was not designed to endure a Pentecostal campmeeting service. Then tide of the message started turning. He begin to demonstrate that this was nothing more than "primping" and getting ready for the Groom. He said that the Bride was staying in the closet too long. She was grooming too much! She was making sure that there were no wrinkles in the wedding dress! She was make sure that everything about her was clean! But while she was grooming (worshipping, praying, fellowshipping, etc.) the world around her was going to Hell. He preached about the mentality of just putting enough gas in the tank to make it to the next service. Just enough prayer to stay saved. Just enough holiness to get by. Just enough giving to appease God. Just enough. . . . I have to add that Bro. Spears did not appear to be too concerned about the self-esteem of those that he was preaching to. He did not seem to be overly concerned about how well the congregation was receiving what he had to say. It was apparent that he had a message from God and was more than willing to tell us what God had conveyed to him. He then began to attempt to mobilize the Church into getting out of her closet and getting into evangelism. He urged us to knock on doors, to teach Home Bible studies (which none of us knew what he was talking about at the time), and bring someone to Church. He begin to cry out, "Postpone the wedding!" This phrase came out every minute or so in his message and to this day, I can still hear that cry ringing out from a hot summer night in Alabama's past. "Postpone the wedding, the world is lost! Postpone the wedding, sinners are going to hell! Postpone the wedding, God! Don't let the Rapture take place yet! The world is still lost! Postpone the wedding!" I have to believe that it was during that message that God begin to plant some of the seeds that would grow in my own life. I begin to feel the burden of responsibility to do something to help someone find the way. I can remember a rush of nearly everyone in the entire crowd that night jamming the altars with tears of repentance and commitment. I believe to this day that there were some soul-winners and preachers that came out of that message that night. It is those sorts of memories and messages that help us to understand that we do indeed have a responsibility to reach our world. I pray that somewhere in your life that you have messages that have stirred you and caused you to make adjustments as you walk the path leading to Heaven. Ken Gurley is another one of the most remarkable men that I have ever met. Just as Kelsey Griffin would place his very valuable influence on my life, so would Bro. Gurley. I met Bro. Gurley in August 1989 in my early days of Bible college. He preached the opening chapel that year and in my mind, even to this day, there was only one other minister who held the power of words as did Bro. Gurley. It had been (apparently) a long held tradition that the opening chapel of the year was to be preached by the Texas District Superintendent. During my tenure at TBC, E. L. Holley held that position and interestingly enough, he would only preach one chapel during my whole stay. For whatever reason, Bro. Holley was unable to make the trip and so Bro. Gurley was summoned to preach. At the time, he was serving as the pastor of Pearland Tabernacle (now First Church of Pearland, www.firstchurch.net) and was the Texas District Youth President. He continues his role as pastor and is now the South Texas District Secretary. The Occasion: Opening Chapel at Texas Bible College, Houston, Texas. August 1989. 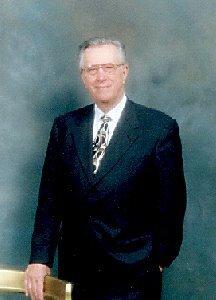 The Preacher: Ken Gurley was another shaping factor in the way that I developed particularly as a young minister. As I get older, I have begin to understand a pattern of the providence and sovereignty of God in the way that He allows people to cross our paths. There have been numerous men who have walked in and out of my life and all of them had made some sort of positive influence on me. Bro. Gurley would teach some of our senior level courses that primarily dealt with pastoral theology but not with preaching. We would always try to get him on the rabbit trail and go after the homiletics angle but he rarely would do that. Finally, after seeing a trend develop, he told us one day in class, "Guys, if you want to deal with some homiletics and preaching then we can work something out. If you would like, on the mornings that I am teaching the 8:00 block you be here at 7:00 and I will try to help you. 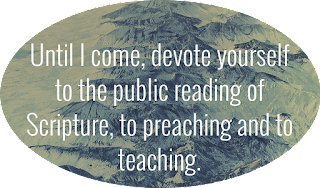 However, I cannot in good conscience deviate from Pastoral Theology issues and go down the preaching trail in this class time." So that began one of the most productive points of my final year. There were about 10 of us (out of 45) who would come to class at 7:00 and for fifty minutes, Bro. Gurley basically taught us a homiletics course. At the end of the semester, for the hearty ten souls who had come away with a vast amount of information, he dropped another ton on us. "Guys, I am going to reward you a bit for showing such dedication and coming to class an hour before you were supposed to. Since you chose to get out of bed early, you have honored me with you attendance. I have been preaching a series on some of the women of the Bible and I am going to have my secretary copy these and give them to you. In addition to that, I am going to give you a few other sets of sermon notes." The next week, ten of us had a notebook with about two-hundred pages of notes in it. This was just about the time that personal computers were just beginning to come into the market and not every person had one. Bro. Gurley did not have one and we could tell because all of the notes that he gave us were typewritten. Just the effort required to use a typewriter demonstrated his commitment to excellence his preaching. The sermon series on the woman of the Bible ultimately became a book, Notable Women of Scripture. Another sermon that was in the mix was one entitled A Trip to Denver and dealt with the issue of mid-life crisis. It was preached on a Sunday morning at Pearland. While we were at TBC, we would rotate through different churches in the Houston area. I made it a priority to go to Pearland for one entire semester and to this day can remember some of the messages that I heard him preach. The following messages are noteworthy: High Noon at Gabatha and The Jefferson Jesus. Both of these messages are in one of his early books entitled Manifold Grace. After I had left TBC and had come back to Alabama, I became involved in Senior Bible Quizzing. I had a tournament up in north Alabama on a Saturday several years ago and found out that Bro. Gurley was to be preaching a Friday night service in the Huntsville area. I drove about 300 miles to be in that service that night with hopes of possibly being able to see him. That night he preached a message Dance Like Nobody Is Watching, a classic Pentecostal sermon about worship. After the service, I found out that he did not have any commitments and so we went to a local Appleby's in Huntsville. After about 15 minutes of shop talk and catching up on things, I took off and decided that in a round about way that I was going to "control" the conversation. My wife was unable to make the trip and as Bro. Gurley's wife was in Houston, we made the most of it. So for about two hours, I would ask one question right after another about preaching, books, putting messages together, and sermon delivery. I left that night with the proverbial wagon loaded and further forged my friendship with Bro. Gurley. He told me that in the early days, that he was an administrative assistant to E. L. Holley. One of his responsibilities was to go and preach in churches that were in transition between pastors. After he had been out of the circuit a bit Bro. Holley started getting complaints about how terrible of a preacher that he was. He told me that everyone would always say, "Bro. Gurley is the nicest young man but he is the most terrible preacher we have ever heard!!!" He was devastated by all of this and started trying harder to put it together but he just could not do it. It seemed as if the harder he tried, the worse it got. I am not sure if Bro. Holley sent Bro. Gurley to Bridge City, Texas or if he had Bro. John Harrell (pastor at Bridge City) to call Bro. Gurley. However Bro. Harrell soon took an active interest in Bro. Gurley. Bro. Gurley told me that Bro. Harrell started calling him twice a week. He would call him on Thursday night and say, "Ken, what are you preaching Sunday?" Bro. Gurley would say, "Well, I don't know yet." He said then that Bro. Harrell would start "rambling" about a story that he had heard and then would connect it with basically a sermon. Then Bro. Harrell would call him early the next week to find out how things had gone. Bro. Gurley said that it took him about a month to figure out what Bro. Harrell was doing when he would call. He said then that as soon as Bro. Harrell would call on Thursday or so, that he would go flying through the house and find a legal pad and then scribble down everything that Bro. Harrell said while they were on the phone. Then he would go preach it on the weekend! But then the piper had to be paid!!! Bro. Gurley said that when Bro. Harrell would call him early in the week and ask him what he had preached that Bro. Gurley would say, "Ahh, uhh, well you know, Bro. Harrell, ahh, uhh, I just sorta preached what ahh, uhh. . . me and you talked about last week." He said that Bro. Harrell never criticized, castigated, or humiliated him. He said that Bro. Harrell was always very affirming with his comments. Bro. Gurley told me that Bro. Harrell called him for a solid year or so until he had determined that Bro. Gurley had a grasp on putting things together. What a thing to be said! This is where mentoring must play a role in the lives of men. Another time, I caught Bro. and Sis. Gurley on the fly at a General Conference in Nashville. They were leaving through the exhibit area and I caught him and asked him what book recommendations did he have. He was obviously in a hurry and I probably should have let him and Sis. Gurley go on without such a request. But he put the world on hold for five minutes and walked through the section where all of the sermon books were and begin to point out different books to me. I loaded up about 15 books that day. Not only did he point out some books for me, he also put me on the trail of a few authors that have since been greatly beneficial to me. Bro. Gurley is now much more busy and is somewhat hard to get up with. Since my calls were frankly unimportant, I would always tell Sis. Gurley to tell him that I had called and it was not necessary for him to return my call. Finally one day, I came upon the brilliant deduction that she would know what he was reading and preaching and so I would ask her. She has been a wealth of information and inspiration for me since that time. A few weeks ago, I had the opportunity to spend some more time with Bro. Gurley. Along with my brother Mark (who is a preacher) and Jason Deacon (who is just getting his feet wet), we would ask the preaching questions and then let Bro. Gurley load us up. We were not disappointed. I did try to put a "big idea" on him. I told him that since he did not have very many things to do and since he played too much golf, spent too much time sleeping, and had a lot of free time on his hands, that he needed to host a conference at Pearland. It could be called "Preaching for A New millennium." He has written several volumes of sermons (pictured above) with the same title and I told him that many preachers would greatly benefit from a series of "how-to" sessions and workshops. He could keynote the conference and then maybe entice Bro. Harrell and some other great preachers (who are not currently on the conference circuit) to preach and we all would be greatly helped by that. Maybe when you see him again, you also might do a little helpful arm twisting with this idea. The Message: Since it has taken forever to get to the first message that I ever heard him preach, I hope you will stay with me for a little longer. Bro. Gurley started off telling the story of "Beauty and the Beast." You could have heard a pin drop in that chapel. The attention level of the chapel that day was very sharp. I had never heard this sort of preaching before. He then went to the story of Eleazer, who was the servant of Abraham, and his search for a bride for Isaac. He begin to recount the trip of hot wilderness lands and a train of camels. He got us to the well where Rebekah enters the picture. He then began to tell how that Rebekah volunteered to water the camels and what all that entailed. He had really researched the traits of the camels and how much water it took for them and what a huge task it was for Rebekah. He then took us on the trip back to Isaac. He begin to preach about those ill-tempered camels and how they wanted to balk. He preached all of the difficult things about the camels but interspersed throughout all of these comments was the statement, "But the beast was taking the beauty to the groom!" It was another one of those "magic" moments in preaching. Then he finally got Rebekah to Isaac and then the camel turned into something far greater. He made the type to prayer and how difficult that praying sometimes can be. He preached about how resistant we are to prayer and that it can seemingly be one of the greatest challenges of the Christian walk and yet this "beast" is taking the "bride," the Church, to her Groom. I will never forget that message. That was in the days before I took notes when preachers are preaching and who knows where the tape might be. But after almost 17 years have passed this message still stands out in my mind. There are times when my own prayer life starts wilting and I remember Bro. Gurley's words about how prayer is taking us closer and closer to the Lord. Since honesty is good for the soul, I have to admit that I have preached that same concept in one of my own sermons before. It is a very good message and it need not die in my own spirit. I need to share it with others and so I have. Kelsey Griffin is one of the most remarkable men that I have ever met. Little did I know how much he would effect me when I first came into contact with him in August 1989. He was, at that point, an instructor at Texas Bible College and the first class that he taught me was Bible Study Methods. I had never met someone who was so consumed with the Word of God like Bro. Griffin was. I would have the joy of being a "Griffinite" for three years and he would open my soul in Old Testament Survey, Doctrine 2 & 3, Prophets 1 & 2, Typology, Pastoral Theology, and Creative Bible Study. He was constantly encouraging us to read the Word and try to assimilate as much of it as possible into our every day lives. One of his statements that continues to remain true until this day was, "A lot of people say they cannot understand the Bible. You have to read the Bible to understand it. That is the majority of folks problem with the Bible. They don't read it." Another time someone asked him if he was reading his Bible (it probably was the famous Paul Jacks) and Bro. Griffin told him that he had already read it through for the year. This was in March or so, then he told us that he was almost finished reading the Bible through in Moffatt's translation. Bro. Griffin's wide-margin Bible was an incredible work of discipline and art. I always enjoyed looking at the notes in the margins that he had accumulated over the years. It was absolutely full of sermons, Bible studies, and what he called "nuggets of truth." Until this day, no one (at least that I have met) is as disiciplined with their rigorous devotion to the Word like Bro. Griffin is. He was always ready to preach. Periodically, J. R. Ensey, would tell Bro. Griffin about 30 minutes before a chapel that he wanted him to preach. Bro. Griffin never balked because he was always ready to preach. When you try to pin down the greatest sermons that you have heard in your life, I am realizing that this is a huge challenge. Just like a lot of you, I have heard a lot of great preaching, good preaching, and terrible preaching. So trying to narrow it down to the top ten has been very difficult because so many stand out in my mind. The number eight slot is not so much a message as it is a series of messages. The Occasion: My junior year at Texas Bible College (1990-91). Bro. Griffin was responsible for some "long" chapels (1 1/2 hours) and then he also had some "short" chapels (25 minutes). That year during his "long" chapels, he would take that pulpit and mark me for the rest of my life. It was almost as if he were twirling a diamond in a bright spotlight and there were a thousand points of light being cast into the darkness. The Location: Texas Bible College, 1990-91 school year. Houston, Texas. The Preacher: Among all of the things that I have written above about Bro. Griffin another thing stands out to me about this godly man. He preached out frequently but when he was home, he would attend Life Tabernacle and Bro. James Kilgore always asked him to sit on the platform. A few times, I heard Bro. Griffin preach at Life Tabernacle. Generally, every time that Bro. Kilgore would introduce him, he would always say that Bro. Griffin was Sis. Ima Kilgore's favorite preacher. The Message: This was not a single message but rather fourteen different messages. This was my first exposure to someone "preaching" through a series. I had heard "teaching" series before but never "preaching." Someone once asked what the difference was between preaching and teaching and it was said, one is yelling and the other is meddling. Bro. Griffin took the phrases from Blessed Assurance and preached the following single, stand alone messages. The reason that he took this hymn was because he said it was his favorite. Blessed Assurance is full of good theology. I might add that we need to be careful about tossing all of the hymns out the window for 7-11 P/W stuff. I like both and see the necessity of both but not at the entire exclusion of the other. Most hymns stimulate my mind and most P/W stimulates my emotions. I will never forget this series of messages. He followed the next year with a series on "These Sayings of Mine" and preached through the Beatitudes. . . . . Writing about this makes me want to preach it here in Dothan. Bro. Griffin was one of those extraordinary "masters" who did not intimidate you into thinking that you could never do anything like this. He inspired you and made you believe enough in yourself that you could do it too! Kelsey Griffin has been a Paul to a thousand and one Timothy's and Titus'. This happened to be another one of the great preaching events of my life. I have to admit that I was an outsider looking in on this one. When I say that I mean that I was not a member of the Life Tabernacle family in Houston, Texas, I just happened to be passing through on the journey. I was in Houston attending Texas Bible College from August 1989 until May 1992. The Preacher: Bro. Daniel Calk had been diagnosed with multiple myeloma earlier in the year and had been in and out of Methodist Hospital and this was his first return to the pulpit. It was there that he was serving as co-pastor with Bro. James Kilgore. Bro. Calk was a class Christian and had a very kind and easy spirit about him. 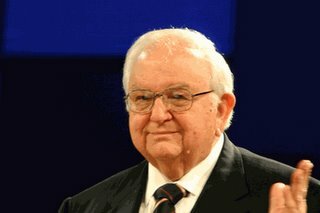 My time around him was very limited but I always enjoyed hearing him preach and teach. It was with great admiration that I watched this great church find itself under great duress during this point of its history. When Bro. Calk had been diagnosed with multiple myeoloma, the elders and saints in that church immediately went into a time of great prayer and fasting. The challenge they found themselves under did not hinder them. They were incredible saints of God who loved their church and their pastor. What a thing to be said of a church. I feel certain that Bro. Calk loved them as much as they did him! A close friend of mine was a member of that church during that time frame. One weekday morning, I met him on his invitation to pray at 6:00 AM pray in the sanctuary at Life Tab (as it was commonly referred to). I was amazed that there were probably 50 people already in the dimly lit sanctuary praying for Bro. Calk. The Occasion: The message was preached on a Sunday evening and the congregation was held in the hand of the Spirit and the Word. This was not a conference setting, it was just a "normal" Sunday night service. I am guessing that it probably was in the fall of 1990. The Location: Life Tabernacle, Houston, Texas. The Message: I am certain that much of the congregation collectively held their breath as he began to preach because he appeared very fragile that evening. However, as he began to preach, not only did his body seem to take on passion and energy but his voice rose with incredible authority. At that time, I am certain that few really realized the struggle that was going on within his body with this intrepid disease. But it did not diminish his delivery nor his will to live and preach in the least. He took his text from 2 Corinthians 4:16-18 --  For which cause we faint not; but though our outward man perish, yet the inward man is renewed day by day. For our light affliction, which is but for a moment, worketh for us a far more exceeding and eternal weight of glory;  While we look not at the things which are seen, but at the things which are not seen: for the things which are seen are temporal; but the things which are not seen are eternal. He then gave his title: Two Different Worlds. He entered into the message giving very warm regards to the congregation for their support during his illness. He spoke with great love as he made reference to his wife, children, and Bro. and Sis. Kilgore. He then turned his thoughts to the message that Paul was giving to the Corinthian church. Since then, the majority of the time that I read this portion of Scripture, I always think about the message that Bro. Calk preached that Sunday evening in Texas. He preached about how unimportant that this world really is and how too often we get our priorities out of line down here. He spoke of the fact that this world is nothing more than a "dressing room" or a "testing ground" for the real world that is coming. He implored us not to live by the measures and the standards of this "temporal" or as he continued to use the word, "temporary." He encouraged us to have great devotion to God and to our families. How true those words are! He than turned his attention to the world that we are looking for. His description of what it was going to be like. . . No Tears. . . No Pain. . . No Death. . . No Separation. . . No Sin. . . was earth-shattering. This message brought out a lot for me because it helped to fine tune the focus that was already being planted within my own spirit. I am very grateful that I was able to be there to hear that particular message on that particular night. It was overtly obvious that the authority and the strength that was so prominent that night was very obviously the anointing of the Holy Ghost on Bro. Calk. I feel sure that you probably could obtain the tape from Life Tabernacle in Houston. I would highly recommend it to anyone who is needing encouragement in their lives. Over the course of my life, I have been exposed to some of the greatest preaching in the world. Catalogued in my mind are certain sermons that have stood out over the years. This sermon was not just a sermon, it was a message. It was one of those "magic" moments that happens sometimes (and not nearly enough) when both the preacher and the congregation get caught up into the very act of worship. Some would dismiss preaching as an act of worship but that is where they are wrong. . . . some will be deadly wrong about that. I am going to do my best to pick out the "top ten" that have stood out to me over the last 15 years of my life. Some of them are available by cassette (since they are so old) and a few of them are available by CD and I will try to get you the information about gaining access to the message. The Occasion: I had been invited (along with several other pastors) to speak at two sessions of a licensing seminar for ministers who were preparing to be credentialed. This day and half event was the final step prior to meeting the board for their acceptance into ministry. During the seminar, it was so designed that the last session on Friday night and on Saturday afternoon would feature a preacher who would spend time both challenging and encouraging those who were about to enter the venues of ministry. The Location: Brewton, Alabama. United Pentecostal Church. September 1996. This church was basically out in the "sticks" and because it was a licensing seminar there were only about 60 ministers, wives, and staff in attendance. A very small setting. The Preacher: J. T. Pugh. For those who rove in Pentecostal circles, Bro. Pugh is a household name and the impact of his ministry has been greatly felt over the years. During that particular conference, I met Bro. Pugh for the first time and spent about 30 minutes with him at lunch on Saturday afternoon. I was 29 years old at that point and was really just beginning to get my feet wet with the aspects of the ministry. There have been several years since that time that I have ran into Bro. Pugh at different conferences and he has always been very kind and helpful to me. He is a class gentlemen! The Message: Spiritual Creativity. The church did not have a sound system equipped with an ability to record the message. I have been told that someone used a portable cassette recorder to tape the message but it was never made available and all that I have to go on are the personal notes that I took that night. Bro. Pugh preached that night for 1 hour and 25 minutes and when he had finished preaching there was a time of prayer and commitment that I never will forget. I was so shocked that he had preached that long and during the entire time, I never looked at my watch or tried to find a clock in the house. This is real preaching. My notes were taken in an old marble notebook and then I transferred them to what follows. Psalm 19:1_2 – "The heavens declare the glory of God; and the firmament sheweth his handywork." "Day unto day uttereth speech, and night unto night sheweth knowledge." *God uses things in life to drive and motivate his ministers. There are times that the motivating dream or vision will not come to pass, but that man is always a much better man for having pursued such a vision. However, there is that anointing of the Spirit that causes men to become creators. God longs for the ministry to be creators. *There is a cost for creativity. Creativity will cost a man his life. Behind every Home Missions church that is successful, the pulpit will be a grave marker for some preacher. Creativity involves blood, sweat, and tears. Creativity involves loneliness. Creativity involves sacrifice. Creativity will ultimately take all of the energies that the preacher has. John 15:14_16 – "Ye are my friends, if ye do whatsoever I command you." "Henceforth I call you not servants; for the servant knoweth not what his lord doeth: but I have called you friends; for all things that I have heard of my Father I have made known unto you." "Ye have not chosen me, but I have chosen you, and ordained you, that ye should go and bring forth fruit, and that your fruit should remain: that whatsoever ye shall ask of the Father in my name, he may give it you." *Friends of God are those who accomplish the will of the Kingdom. The servant only has a limited knowledge of the Master’s desires. A friend far supersedes this aspect. God gives him the inside information and it starts to grow within his soul. Mark 16:17_18 – "And these signs shall follow them that believe; In my name shall they cast out devils; they shall speak with new tongues;" "They shall take up serpents; and if they drink any deadly thing, it shall not hurt them; they shall lay hands on the sick, and they shall recover." *The friend of the Kingdom gains the rights and power of the Kingdom. God consumes Himself with working with his agents, with his ministers. 1 Corinthians 3:9 – "For we are labourers together with God: ye are God's husbandry, ye are God's building." *The friend of God is a co-laborer with Him. Because you are a co-laborer with God, you will have to change. Any personal growth ALWAYS brings about change. Your worth to the Kingdom of God is predicated on your ability to create. *A craftsman will take something of small value and make it worth something of greater value. Longfellow could take an old envelop and write a few words to a poem on it and make it worth $6,000.00. A craftsman can take a bar of metal and make it worth $250,000.00 in some of the large semi-conductors. *A man will extend his ministry with creative thinking. Creative thinking will be both a challenging and intimidating experience for him. But just as the challenges and the fears will come so will the growth, both of his ministry and of his church. *Without an intellectual thrust, there will never be any effective creativity in our lives. *Paul was a very studied and wise man both in spiritual aspects and material aspects. He is an example of a man who worked (tentmaking) and studied (at Gamaliel’s feet) and then he became a useful instrument in the hands of God. Never be afraid of hard, physical work and by the same token never be afraid of long hours of laborious study. Both are very effective at allowing the man of God to become a useful instrument for God’s use. *No preacher will ever find the place in his ministry where he can afford to quit studying. One young man asked Bro. Pugh how to become a great preacher. Bro. Pugh told him that to be a great preacher and pastor that he had to be a reader. The young man replied that he did not like to read or study, so Bro. Pugh told him that he had better get out of the ministry before he ever got a good start at it. Bro. Pugh went on to say that when he was actively pastoring that his days were almost entirely spent in studying. He stated that he would generally use the morning hours for study and the afternoons for pastoral visits. However, if he had no obligations in the afternoon he would also spend this time preparing messages and Bible studies. He said that first of all a man must be a preacher and then all other activities must take a second seat to this. *To pay the price of creativity there has to be an intellectual attitude of hunger and desire. The prayer of the preacher constantly has to be that God will stretch his mind and his capacity to minister. The preacher who does not have an intellectual hunger will soon find that he is dead between the ears and he will not even realize it. To be dead between the ears is to pastor a dead church. *God allows problems to come to us to stretch us and in doing so it causes men to stretch intellectually and find the right solution. How many times have we paced the floors, seeking God for an open door. *Bro. Pugh mentioned that he had opened his mind to the reading of poetry over the years and had found that Dylan Thomas was an English poet whom he liked best. He said that there should be a raging desire in the soul of every preacher to find that place where he longed to grow. *There will be both a blessing and cursing with our tears. Nothing will ever be created in a spiritual tone unless there is a willingness to care, to hurt, to suffer. *Peter Drucker became a writer because he longed to create something. Nothing will ever be created without the desire of heart. *No matter how many blessings and cursings comes from our feelings, one must move beyond just a feeling for this thing. There has to be the model of commitment. *There are some creations in our lives that will cost us. Bro. Pugh said that as a very young minister that Bro. V. A. Guidroz took an interest in him and began to develop a friendship with him. He said that he is not really sure what he done to warrant this friendship but he said that the done everything that he could to make it grow. Every preacher ought to take an interest in some young preacher, some young pastor, some young evangelist and allow the investment of your ministry to live on in the next generation. He said that some of the convictions that he received from Bro. Guidroz (Bro. Pugh did not name them) was a creation that costed him something. It caused him to shed some tears. The convictions demanded his tears but those convictions would later on be the saving of his soul and ministry. *The man who is the creator will never create anything in the eye of the public, in the face of the congregation of the church that he pastors, or in the presence of his peers in the district that he serves. The great public life pulls the life out of creativity. Things are created in the places of loneliness. Never be afraid of loneliness, it can become the treasured friend of the preacher. *The success of the ministry depends on four hours of the day. The hours from 10:00 PM until 2:00 AM are the most crucial hours of the ministry. The man who does not know what to do with these hours will not have an effective ministry. Either be sleeping during those hours or studying during those hours. What happens in these hours will shape you. Too many preachers spend these hours wasting their time. The next morning when they finally do get up, they are behind for the rest of the day. *The accusation of Festus was that much learning had made Paul mad. His life and his circumstances had caused him to be out of his mind according to Festus. But Paul affirmed to Festus that the only way to really live was to learn and be creative as he lived. 2 Corinthians 11 gives to us the sufferings and stress that comes with having a creative ministry. *Problems create trouble for a lot of men. No ministry is immune from problems but there are men who allow the stress of ministry to immobilize their minds and their hearts. This should never be. Stress is a way that keeps us growing if we can handle it properly. *There will be a confrontation with the man of God. What we create we all depend on the clarity and the depth of the vision that we are confronted with. *Bro. Pugh told a story of an artist that he knew in West Texas that was asked to paint a farming landscape. In that landscape was a large tree. For three weeks the artist went everyday and stood there alongside the road and looked at what he was going to paint for thirty minutes and then he would go back to his studio and think. About a week into his going to the farm, the man who asked him to paint the picture caught up with him and asked when he was going to start. The painter told the man that it would be several weeks before he began the painting. The customer was a little taken aback by this and wanted to know why. The artist replied back to him that he could not and would not paint something that he had not had an encounter with. The feeling had to be on the inside before he would attempt to began the portrait. *Make the most of every encounter that God brings to your life. There is a vast difference between copying and creating. Too much effort is spent by a lot of younger ministers/pastors on trying to imitate what they may see as "successful." God wants growth not imitation. *Creation is from inward to outward. Imitation is from outward to inward. This makes vision an important part of our lives and therefore must be the great focus of our hearts. *Part of the encounter of the spiritual creativity will require one to love. To love another, or to long for a productive ministry, or to love a dream will cause you to become vulnerability. You will learn that to be vulnerable means that there will be times that you will hurt to the very core of your being. The pain is often enough to move mean toward not being vulnerable, but we have to remember our great example in the passion of His sufferings that he opened not His mouth. *Just as there will be an encounter with the material side of the vision (a building program, a certain ability that one desires, etc.) there will be a spiritual encounter. *The majority of ministers never have spiritual encounters. Spiritual encounters stifle them. It creates stress within them because they do not know what to do. *Spiritual encounters create a disciplined soul. There are great disciplines of the soul that a man must work toward having. An undisciplined soul is one that has no purpose. Great disappointment is one of the times that a spiritual encounter will occur within us. *Bro. Pugh mentioned that once his church was going through a devastating lawsuit (he did not give the reason). He said that it was the lowest point of his ministry. He said that he just continued to walk one day at a time. He said that after it was over that his saints came up to him and told him how that they had appreciated the way that he had just continued to remain so steady throughout the storm. Bro. Pugh said that it was not within him to walk this steady, it was the power of God that kept him. He said that so many times he had wanted to give up and quit but his vision was bigger than his difficulties. He said that his greatest compliment came from some of the church elders who told him that he had conducted himself the way that Jesus would have. *God has chosen me to fulfill a particular aspect of his kingdom. He wants to reveal His Son in all of us. Unless people see Jesus in us then we have miserably failed. *Christ must be formed in us. We are creators, co-laborers, friends with God. *There is also a large difference between a performer and a creator. The Lord imported the difference between the hireling and the shepard. There will always be a noticeable difference in the attitude of the hireling and the shepard. *The sheperd is willing to let the idea spring to action after a spiritual encounter. The real focus of the ideas of the spiritual encounters is that one must cultivate what God is attempting to create. Often the vision is pre-lived and it will come to life. *Sometimes the excitement at the end of the task is palpable by those involved except for the leader. The leader usually is not as excited about it as everyone else and the reason is because he has pre-lived it. It was built a long time in his heart before it came to pass in the world. *Leadership is very important to the creation task. Therefore through out the whole process one must keep his preaching Word focused. The Book is Spirit-produced, therefore it must be Spirit delivered. This places an emphasis on spiritual preparation prior to beginning any endeavor for God. *Persistence is a remarkable thing when the Word of God comes to life. *In Romans, the apostle informed us that we will stand at the Judgement Seat to be judged. Only what we do for the Lord will stand. *Create your life on a strong foundation. Do not build a chickenhouse on a foundation meant for a skyscraper. Be careful with the foundation and be a wise Masterbuilder. *Bro. Pugh told a story about a man named A. D. Paige. He said this man was a rotten drunk. Numerous times, his mother, who was a saint in the church would call Bro. Pugh to her home to pray for this man. Bro. Pugh said that more often than not, he would have to rouse him out of a drunken stupor or he would have to awaken him from a deep sleep. He said A. D. would slur his words and try to pray but Bro. Pugh said that he had given up a long time ago on A. D. He often thought that Sis. Paige should just give up on praying for her son to be saved. Then one night, she called Bro. Pugh late in the night and told him that A. D. had received the Holy Ghost in San Antonio, TX. Somewhere within this woman a spiritual creativity had been accomplished and she saw into the realm of the Spirit of what God could do with a person who would commit all. There is a great desire born in my heart for true revival. Revival that shakes men and churches to the core. Revival that frees men from the grip of sin. Revival that creates an incredible love for the Word of God and it's presentation through preaching and teaching. Revival that stirs my emotions for authentic worship. Revival that challenges my mind and intellectual capacities. Revival that shatters flakiness and revival that wilts formality. There is a place where the soul can drink deeply from the wells that only God can un-stop. I plan to invest myself from this point on in my life to prayer, fasting, and the ministry of the Word. How can I expect to be above the bar when my efforts are so mediocre and so average. Anointing follows humility, submission, study, prayer, fasting, personal sacrifice, and perhaps much pain too. The great men of the past were those who did not live in conformity with their own desires or their own falterings. They were men who were hungry for something more. They wanted to go beyond the norm. What if my devotion to God rivalled Michael Jordan's hunger for excellence on the basketball court during his rise in the NBA? What if my personal discipline compared to the preparations of Bill Cowher (Pittsburgh Steelers coach) and Mike Shanahan (Denver Broncos coach) to play football? What if my hunger for God equalled Kenny G's desire for perfection with a soprano sax? What if I was willing to spend as much time in the Word as did Mozart, Vivaldi, and Beethoven did putting together their timeless classics? What if I wanted holiness and separation from this world as much as Howard Stern's longing to shock our society? What if there was the same driving force behind my prayer life that drives Bill Gates to pursue what he has with Microsoft? What if I desired to shake off mediocrity with as much energy as Lance Armstrong invested in his desire to win? What if I chose to invest my mind in the Word like the Wall Street icons put their energies in their very transient investments? What if I preached as did Richard Baxter like a dying man to dying men? What if I ran out of breath pursuing souls as it was said about John Wesley at his death? What if . . . . ? ? ? This question could stretch into eternity. . . . . . . however, my life does not. . . . . . . . my life is just a vapor. . . . . . . . It is here for a moment and then it goes out. . . . . . . Only what we do for Christ will last. . . . . . . .
Old books can be some of the most incredible friends that you will ever have. I can remember visits to the library when I was a kid and from that time I have developed a passion for reading. The old adage is that "readers are leaders" and it is very true. When you open a book, you are in the very early stages of starting to stretch your mind. The concepts behind the words will cause to you embrace disiciplines that can change you forever. Part of the joy of reading comes from the "hunt." The "hunt" is the journey that begins when you take a trip to a library, a new bookstore, or even better yet, when you can find an old bookstore that has old books. There is something about the sights, sounds, and smells of an old bookstore that can challenge not only your physical senses but also your mental senses (which you do have). A few years ago, I "stumbled" across one such author. He has been dead for a few years now but his stories live beyond his grave. The author was A. J. Cronin and the first book that I read of his was entitled The Citadel. It is a story about a young man who was born in impoverished conditions in Scotland and wanted to become a physician and practice medicine in the upper crust soceity of London. The story told of the great sacrifices and huge challenges that he overcame to simply become and physician and continue to pass the necessary boards to get to the place that he wanted to go. However, in the process he sacrificed everything that was dear to him (he just did not know it) to get to the "society" status. What he did not realize was that the "society" had no manners, no grace, and were filled with decadent, shallow lives that were consumed on themselves. You owe it to yourself to find this book and read it for yourself. You will realize that all that glitters is not gold.